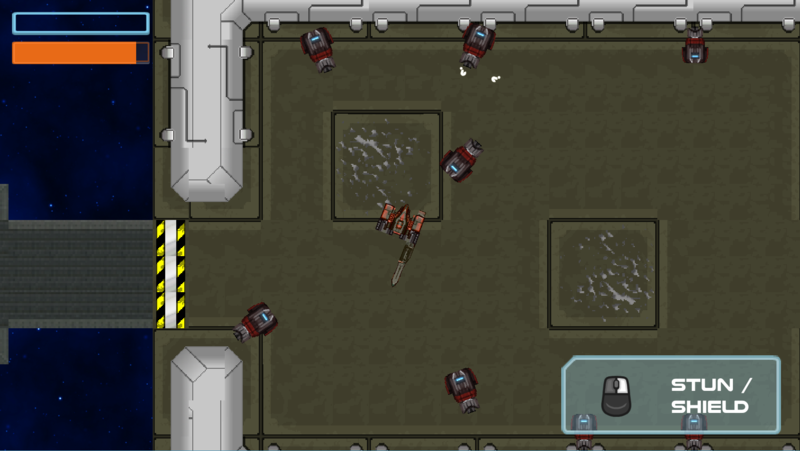 Galactic Steel is a space-themed 2D "hack and slash". 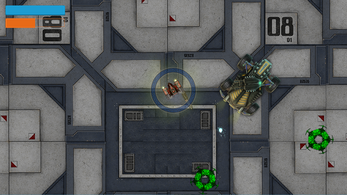 The player commands a battle-mech, wielding a large sword as their primary weapon. 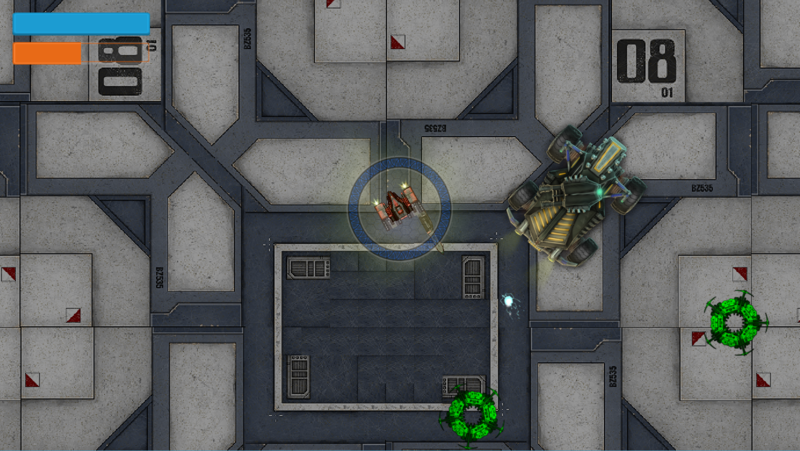 Gameplay is centered around chaining together attacks smoothly and accurately in order to build up damage bonuses. 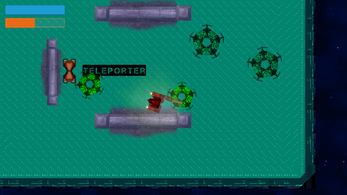 You are also given a rocket-powered dash maneuver, a reflective energy shield, and a blinding stun attack that helps you evade and outmaneuver opponents which are much more agile than you. Plays best with a controller (although it isn't required).